Learning to write a basic press release is a valuable skill for writers who want to promote a book launch or writing-related event. But local and regional newspapers can receive hundreds of press releases every week—which means that there’s stiff competition for “real estate” in papers and even local blogs. Editors have to choose which news gets promoted and which is cast aside. To truly make your press release stand out, you have to be sure that your submission to the news desk hits all the right notes. Here are our best tips for writing a press release that editors will want to publish. Brag. Do you have any national coverage or great reviews to brag about? Is your book about to hit a particular milestone? Did you publish your book yourself and learn a lot from that process? Bragging is an art form worth mastering. Create multiple press releases. Few people would take a one-résumé-fits-all approach to job hunting: The same is true for sending press releases to different media outlets. For your hometown paper, talk about how living in the region influenced your writing. For your college newspaper, mention the importance of your education. The more relevant your press release is to the publication, the more likely it will published. Don’t neglect the details. Be sure to include all of your contact information (including your author website URL) in your press release. Sometimes, a press release will inspire a journalist to pick up the phone to interview you for a full-length feature article—and he or she will need to know how to contact you. Include photos. 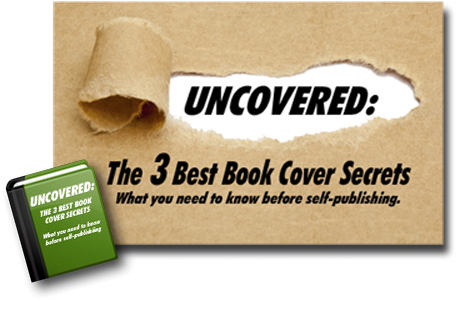 You may want to attach (or upload) high-resolution images (at least 300 ppi) of your head shot and your book cover art when you send out your press release. News is a visual medium, so eye-catching artwork can go a long way toward convincing an editor to run your press release. Learn more about great pictures. Write good PR. Writing a good book, story, or poem is very different from writing a good press release. A press release must be succinct, well organized, and written according to AP style. It should be typo-free. When in doubt, ask a professional to create your press release for you. At the very least, be sure to run your press release past an expert proofreader. The most eloquent press release in the world will be ignored and tossed aside if it doesn’t offer something attention-getting and worthwhile. Readers gravitate toward information that’s useful or never heard before. Consider what you can offer that might be of use to local readers. Maybe you plan to host a contest or organize an event for charity. Or perhaps you’ll give a lecture about your perspective on self-publishing or your tips for crafting a story. QUESTION: If you’ve used a press release, what made it successful? Share your tips in our comments section.